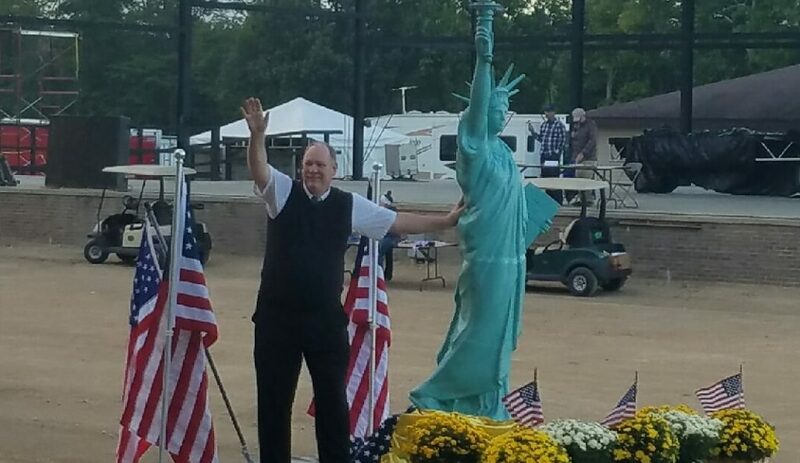 Bill Gelineau passes Grandstand at Allegan County Fair Parade. Photo By Mary Buzuma. 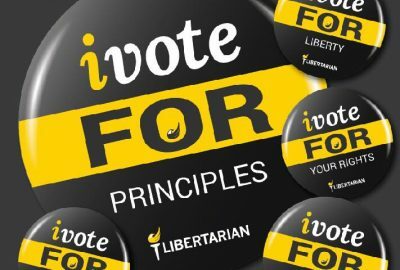 Student Libertarians: This Is A Call To Action! The 2018 Elections are less than 40 days away, and our candidates want to reach out to you and your classmates. Please let us know if there are any events coming up on your campuses, whether they are political in nature or even just open to the public. Our candidates would love to have the chance to shake hands and win hearts and minds. 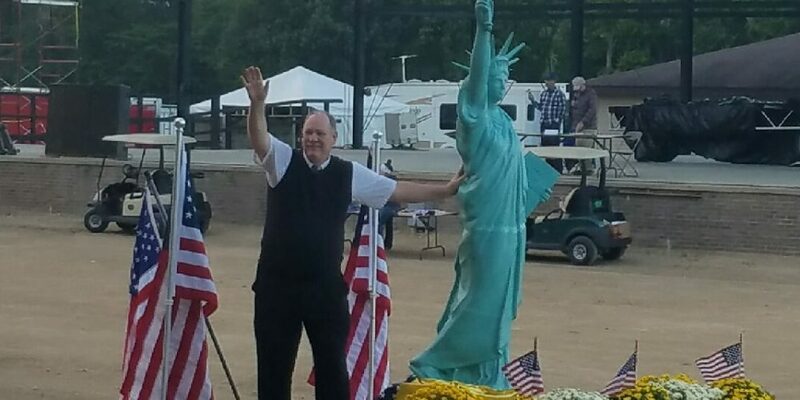 Any opportunity for our candidates to get out there and get the message of liberty across can help make this coming election our strongest showing yet! The purpose of this event is to give students the opportunity to meet candidates running at the local, state and federal levels and learn what they stand for in order to be informed in advance of the Michigan November Election. We invite any local, state or federal candidate of all parties to be on hand for the event. 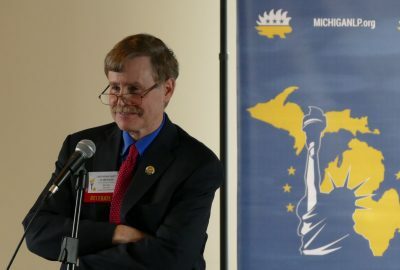 If you are in contact with a Libertarian candidate running to represent the citizens of Bay, Saginaw, or Midland County please forward this information to them. Lt. Colonel (Ret) Max Riekse, Fruitport Post Commander. 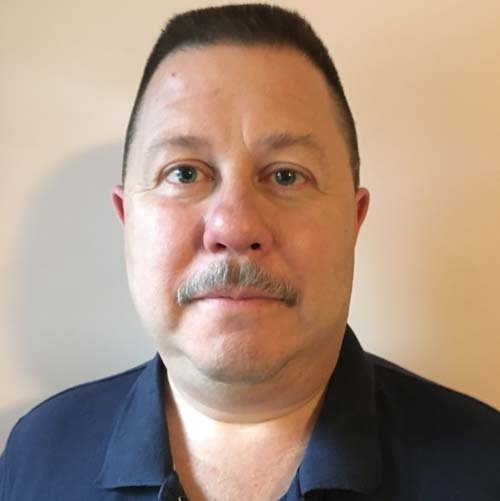 Fruitport Township, MI – On Friday October 19th the Fruitport Post of the VFW will host a candidate forum at 5201 Airline Road, Fruitport Township 49444 from 6:00 PM to 7:30 PM. Candidates from all parties who will be on the November 6th, 2018 ballot are invited to attend. Tables will be available to display campaign materials but may not be hung up or fastened to walls. Yard signs may be displayed out in front of the building starting at 6:00 AM on Friday, October 19th; but must be removed by 8 PM. 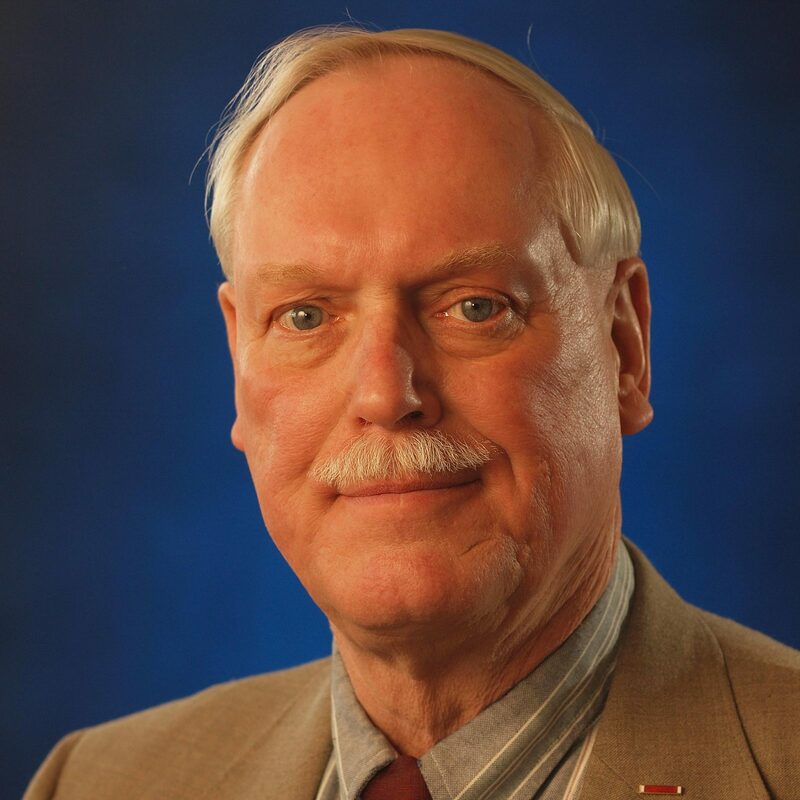 To assist the VFW Post in promoting the event, candidates are encouraged to announce their planned attendance on Facebook and/or other social media. The VFW Post plans on publicizing the event through local print media. POC for the event is Lt. Colonel (Ret) Max Riekse, Fruitport Post Commander at (231) 865-3238. 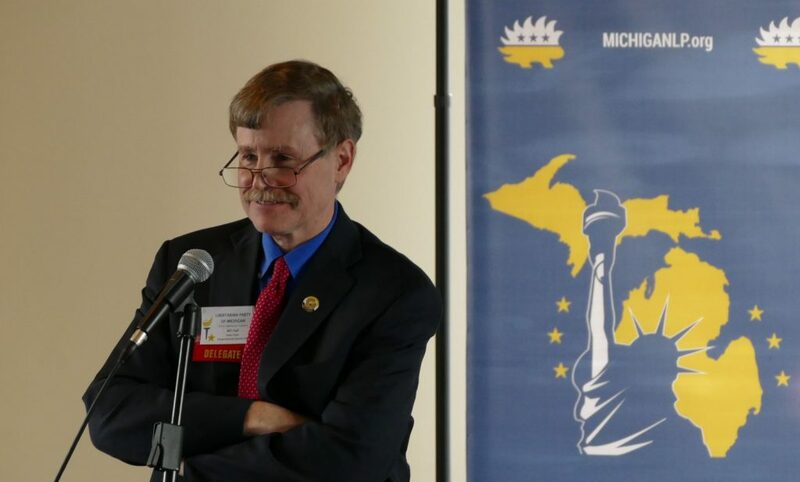 Max is a candidate for Michigan State Senate District 34 which includes the West Michigan counties of Muskegon, Oceana and Newaygo. 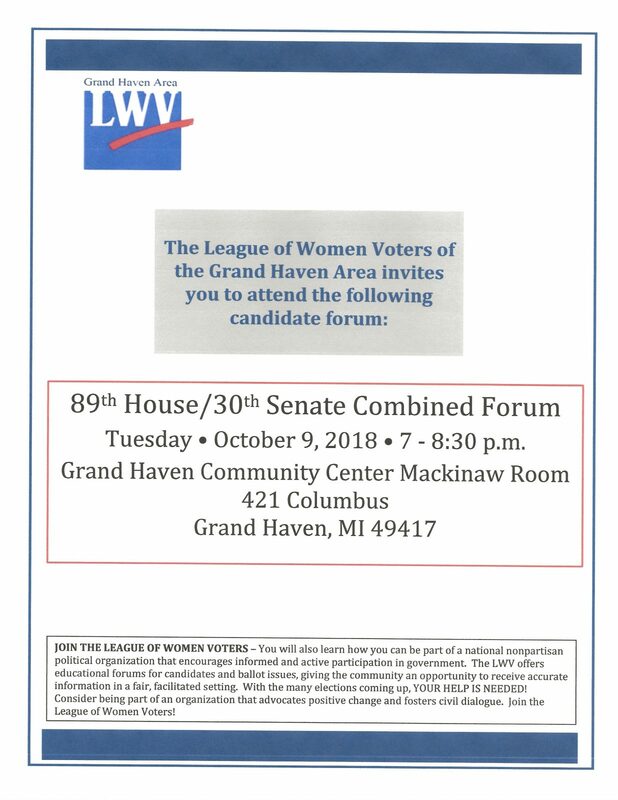 Grand Haven, MI – The League of Women Voters of the Grand Haven Area will be holding a forum on Tuesday October 9th at the Grand Haven Community Center Mackinaw Room, 421 Columbus, Grand Haven Michigan 49417. Candidates for the 89th State House and 30th State Senate Districts will be featured. Please see this flyer for details. Livonia, MI – I was pleased to participate in a League of Women Voters candidate forum on September 19th, 2018 at the Livonia City Hall. Approximately 80 people attended the event, and I was able to quite effectively contrast the” Less Government, More Freedom” position against the Democrat who found no tax increase and no new government program to not be of her liking. The Republican candidate did not attend. 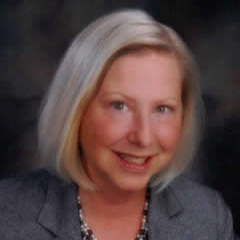 As submitted by the candidate to the Detroit Free Press and League of Women’s Voters. Current Position: Advocate for the poor, leadership in community. 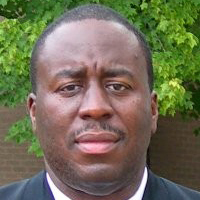 Education: BA from MSU, post grad work, Paris, France and Lausanne, Switzerland; charter member Justin Morrill College, Rodney B. Wilson High School, St. Johns, MI. Describe your qualifications and experience for the University Board and explain your reasons for running. How would you be an asset? Teacher, social worker postal clerk/ Master 35 yrs. ; union treas. & steward 2 yrs. ; curriculum adviser 6 yrs. ; Downtown Development, chaired subcommittee 1 yr.; advocate for poor (took homeless in) lifetime; fund raiser for charity 15 yrs. ; leadership in civic and religious organizations 53 yrs. ; various occupations from farm work to assembly, bus driver to lifeguard – managed city pool, reading tutor, working with gifted and talented. With a vast field of experience, being able to listen to all sides, do research and find viable solutions are major reasons for running for Trustee and are valuable assets to this work. Received Citizen of the week award and Governor’s award for environment improvements. 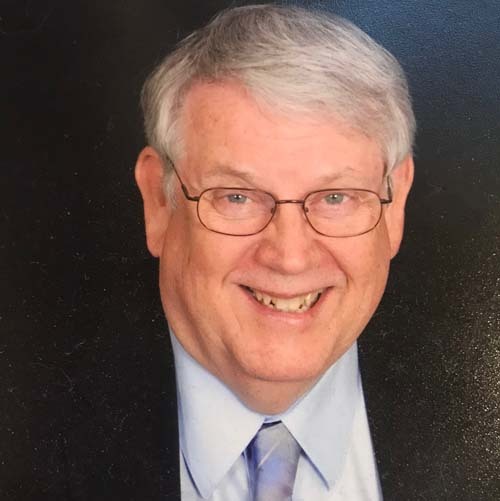 I have lived overseas and in many areas of MI including Romeo, Bad Axe, St. Johns, Interlochen, Traverse City, Lapeer, Rogers City, Allegan and Alanson. What recommendations would you propose to make university attendance more affordable and reduce the burden of student financial debt? Some ideas to help make college education cheaper would include: 1) cut the budget 10% across the board, eliminate duplication; 2) expand work/study program, create with business community apprenticeships, or internships; and 3) allow more credit approval for classes taken at community colleges, AP classes and the 12th high school year (even vocational tech) towards undergraduate courses. What are the two most pressing issues facing this university today and what is your position on those issues? MSU Trustees are in the process of hiring a new university president. This person should have varied experience in business and education. This person should be thoroughly vetted and not political. A person who loves to work with students and is available to all with an open door. Handling future sexual scandals and avoiding “cover-ups” is a major issue that still plagues our school. Policies should be in place and enforced to provide a safe environment for all persons; i.e. zero tolerance for sexual harassment, bullying and hazing. We need to be fiscal responsible, accepting and pro peace. 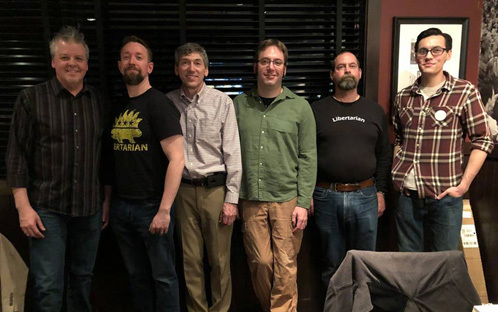 Left to Right: Tim Yow, Benn Carr, Jeff Pittel, Greg Stempfle, Jim Joung, and Jay Nepo. "In terms of the American taxpayers' contribution, I do, this is it for the US. ... The American part of this will be $1.7 billion." The budget plan would “accelerate” $132 million in road funding dollars slated to go to roads in future years under existing law. A number of years ago the state provided a huge grant to a certain state college, to study why frogs croak. I'm serious. How about the state GRANT the people some bridges and roads, instead of wasteful spending like why frogs croak? In all honesty we could just borrow. The road system has about 20 years left before it doesn't exist anymore. That and the money is pretend anyways and also has a limited shelf life. Cut our $58 BILLION state budget by just 5% and that’d save $2.9 billion, $800 million more than what Whitmer is asking. They have the money....they need no more. As usual the Michigan driver will be hindered by orange cones all summer and no roads will actually get fixed........shocker. Cut any unnecessary spending.don't need decades of comitee to figure out. What happened to the fact we passed legislation at the polls that has a 40% earmark for roads? Get the damn rules out for recreational marijuana and stop digging in my pocket! 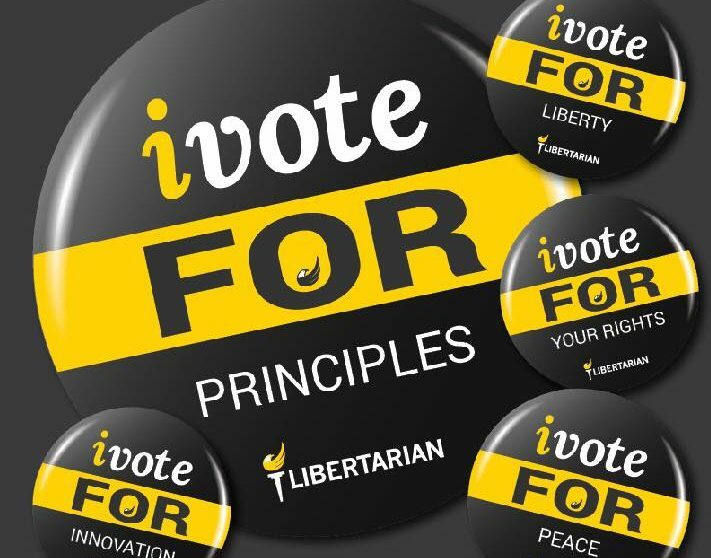 Libertarian Party of Michigan: PO Box 27065, Lansing, MI 48909; Phone: 888.FREE.NOW. 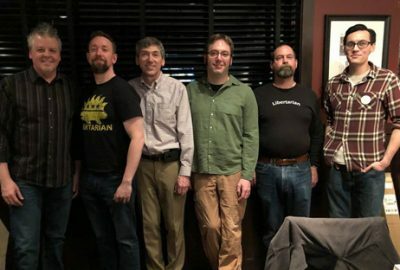 Paid for with regulated funds by the Libertarian Party of Michigan Executive Committee, Inc. d/b/a the Libertarian Party of Michigan. Not authorized by any candidate.